Ipsy is a monthly beauty box subscription. Each month you get a makeup bag and 5 sample or full size makeup and beauty products. You also get Ipsy points for referring friends and reviewing your glambag and products. You can then use your points to purchase items from the Ipsy website. What you get: A mix of 5 Sample and Full Size Makeup and Beauty Products. With a different Makeup Bag Each Month. This brush is so so pretty! I love that it’s so colourful. From Ipsy: Great makeup looks start with great brushes! Royal & Langnickel® MODA™ brushes are versatile, colorful and 100% Vegan. They feature durable water-resistant handles with a silk-touch no slip, grip. They’re all synthetic, professional quality brushes that can be easily cleaned and used with both wet and dry makeup. Tip: Wet the tip of your shadow brush before dipping into your eyeshadow – apply along your lower lash line for a dramatic flare. 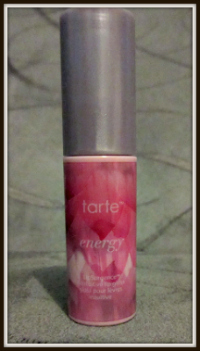 This LipGloss uses skintuitive formula how it works is it responds to your skins natural pH and energy so everyone who uses it has a slightly different shade which is cool . Infused with pH-adjusting skintuitive™ technology, this sophisticated glossy lip formula is infused with rich antioxidants to help smooth the appearance of fine lines and wrinkles while delivering intense hydration and your own custom, complexion-enhancing shade of pink. This scrub smells good, I can always use a good body scrub and this one being organic is a nice bonus. 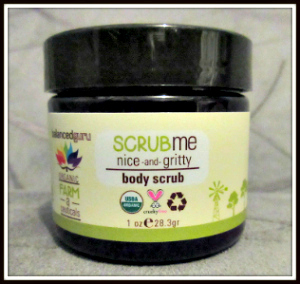 This nice and gritty organic body scrub is good for all skin types and can be used from head to toe. Use gently on your face and rough it out as much as you need to on your body. The formula is enriched with raw sugar, organic coffee, coconut oil, babassu oil and cocoa butter (plus a little spearmint and ginger to spice up your scrubbing experience). Tip: Skin cells are constantly shedding to reveal new, healthy skin underneath – using a body scrub helps this process and leaves you with glowing, smooth skin. Another organic sample this month this should be great for the winter months where my skin gets extra dry. This highly concentrated face treatment is designed to deeply hydrate and reveal smoother, softer and more supple skin with improved tone. Moroccan argan oil, packed with restorative omega fatty acids, intensely hydrates and replenishes. Apricot kernel oil moisturizes and softens skin while helping retain clarity. Rosehip oil smoothes skin texture and helps even out tone. 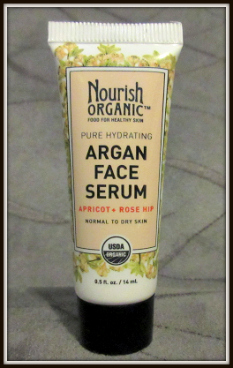 Tip: Use this face serum when your skin is in need of some regeneration. theBalm cosmetics always has the cutest packacing.This shade is a great color, kind of a shimmery champagne. It would make a great eyeshadow too. This highlighter, shadow and shimmer diffuses light so your skin looks softer and younger while adding a subtle glow. Tip: Brow bones. Cheek bones. Corner of the inner eye. Cupids bow. Apply this highlight to these four areas and you’ll have a gorgeous glow. This month’s ipsy bag had a good mix of products and tools, and I’m happy with it. If you’d like to try Ipsy out you can click here to visit their site. I’ve never heard of this beauty subscription box but it is very affordable and I love the products from October! Ipsy always looks like they have such amazing boxes!! This is one subscription Ill have to get one day!! 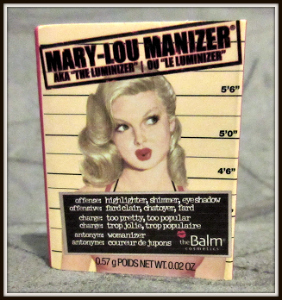 I am so in love with the theBalm Cosmetics packaging too!! Super cute!! I’ve wanted to subscribe to Ipsy for a long time but since I don’t have the money, I love reading reviews. Wow! You got an amazing Ipsy bag. I love my monthly bag, but the last one wasn’t as good as the others have been. This looks like a fun box to get. I have never heard of this but WILL be trying it. Thanks! I love that brush, it’s so pretty! 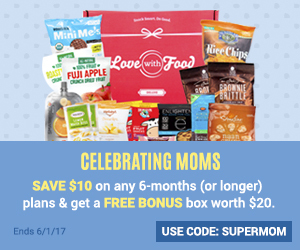 I’ve been thinking about trying ipsy…..I think you’ve just solidified that one for me! Thanks! Thank you for the review. I would love to try some of these. 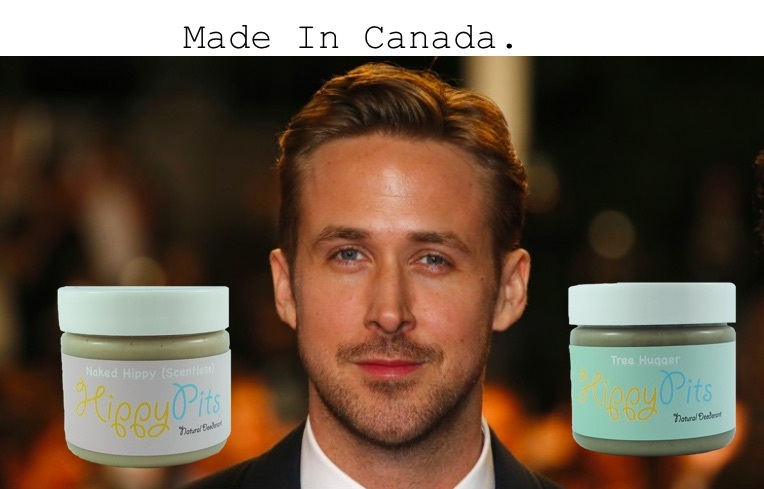 I am SO GOING TO SUBSCRIBE to ipsy. This is going to be my New Years resolution! The bags alone that the products come in are adorable! I would love to try the Argan face cream…. I’ve put it in my hair, and love It! I bet it would do wonders for my dry winter skin ! I love this brush. Color and style is very nice. Though I have never heard of this company I will definately look into them. This is pretty awesome! I have never heard of this box before. I also really love the brush.